Bullying happens to countless individuals, not only do school children experience this terrible ordeal, but college students, professionals in the work place or virtually anyone can fall prey to it. When an individual is bullied, he loses his center of control to the bully. This power over another human being is the reason bullies target a specific “mark” or victim. Typically, the victim will have something that the bully does not, be it material possessions, special privileges, social or professional status, or some other need that has not been fulfilled in his own life. In efforts to soothe his own inadequacies, a bully seeks another individual to push down, so that he can feel superior. This occurrence will be repeated, because the bully must maintain the power he obtained the first time and so a vicious cycle ensues. Though some might argue that bullying is simply nothing more than harmless fun or a mere part of growing up, bullying can have dire consequences and ultimately lead to a broad spectrum of destruction. From depression and poor self image to substance abuse or suicide, bullying is a serious issue that is all too common throughout the world. 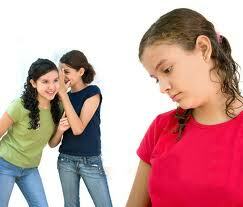 However, bullying does not have to rule all aspects of the victim’s life. Still, overcoming the trauma and emotional scarring that result from years of torment and ridicule can be a difficult battle.Feelings of humiliation and isolation can haunt victims for years after the actual encounters have ceased. Consequently, coping with this type of anguish often requires therapy. One of the most effective types of therapy for healing the emotional distress from bullying, is cognitive behavior therapy (CBT). Hailed as one of the most trusted treatment methods for individuals suffering from social anxiety or post-traumatic stress disorder, CBT teaches individuals to better understand personal thoughts and feelings related to a situation and how those thoughts and feelings influence actions and responses. Understanding the relationship between thought processes and actions is crucial to developing more useful behaviors, because new processes cannot take full effect until the old ones are apparent. Often, individuals are unaware of their destructive thoughts and behaviors because they have been using them as coping mechanisms for the unpleasant situations they have suffered through. Still, the same coping mechanisms that are necessary for overcoming the torment and humiliation of bullying can be detrimental to social situations, intimate relationships and professional prospects. The experience of being bullied damages the confidence and self image of the victim, making it virtually impossible for him to trust anyone including himself. Fortunately therapy can help an individual regain his confidence and control of his life and his future. With time, the bully’s ever-present shadow hovers less and less, until ultimately it will disappear completely. No longer will the individual be a prisoner of his past. This entry was posted on Sunday, March 4th, 2012 at 5:50 pm	and is filed under Anxiety, Bullying, Family Therapy. You can follow any responses to this entry through the RSS 2.0 feed. Responses are currently closed, but you can trackback from your own site.